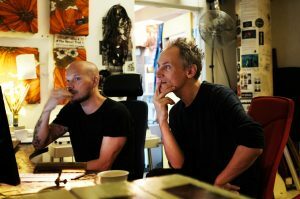 The past three days a new film by Max Andersson has come alive with a massive sounddesign in my studio. FLAT DOG TOWN is a 6min short animation shot by Max in Berlin. The premiere is planned later this year. More details will follow. A new classic is born!